Savannah Fashion's Night Out 2014 is tomorrow and I'm so excited I can hardly stand it!!!!! My mom and I go every year and she's just as excited too. The hardest part is finding something to wear that is super chic but beats the heat! 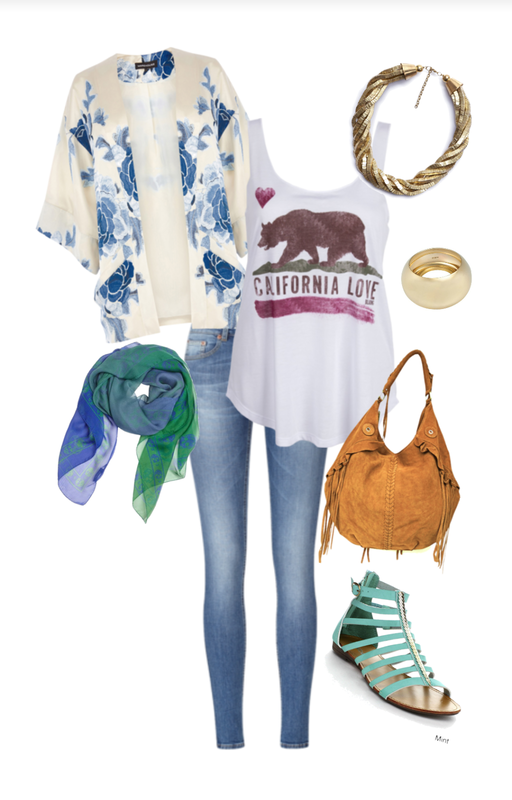 Check out this out polyvore of what I might put together. I think a comfy and breathable pair of skinny jeans will great with a fun screen tank. I'll probably cover that with a breezy kimono top and funk it up with some super chunky accessories like the necklace above and a nice bangle. A scarf around the neck in a contrasting print and/or color might be a neat addition, as long as it isn't tooooo hot! Finish that off with a pair of stylish sandals that are perfect for hitting the pavement and a slouchy hobo bag that's big enough for my camera and cards! I'll keep you posted on all the fun I hope to have! I Know What I Know…Right?